Brilliant Venus and Mars shine from the southwestern sky this evening. They are 18.5 degrees apart. Venus is nearly 100 times brighter than Mars. 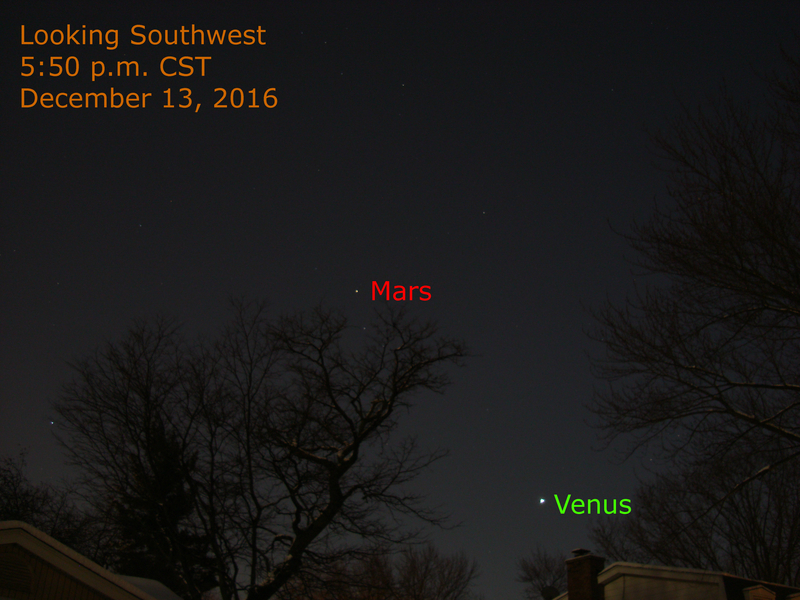 Tonight Venus sets about 3.5 hours after the sun and Mars follows about 90 minutes later.